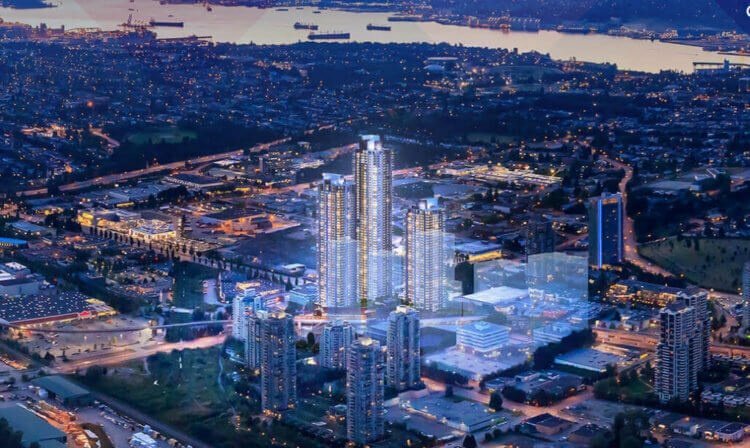 Gilmore Place will be a mixed-use, multi-residential tower located at the Gilmore Place skytrain station on the corner of Lougheed highway and Gilmore. 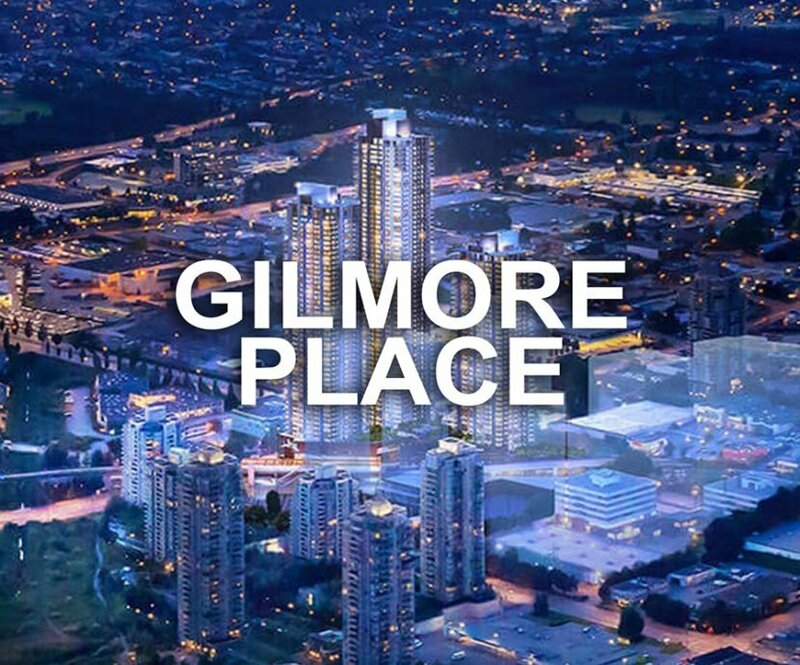 Gilmore Place has over 12 acres of land and it is expected to have over 500,000 square feet of retail space as well as over 2000 new homes in towers ranging from 45 to 65 storeys. 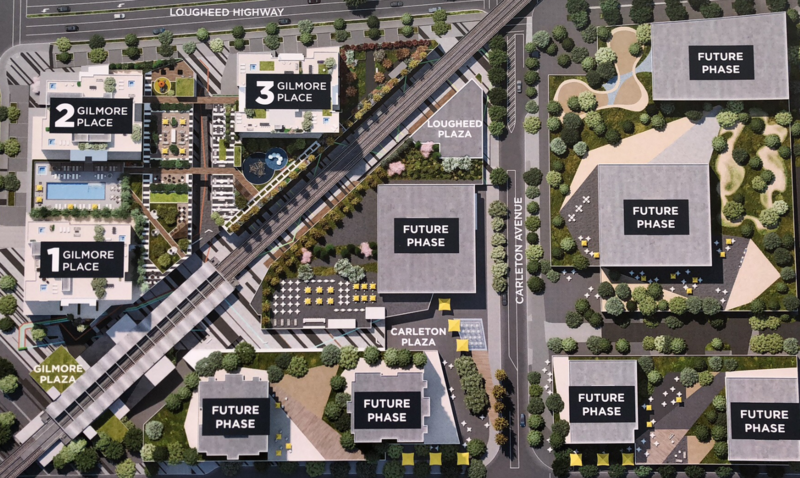 Located just a 10 minute walk (or 1 skytrain station away) from the new Brentwood town centre and a 20 minute sky train ride downtown. Gilmore Place offers easy access to some of the regions best shopping, dining and entertainment options without the need for a car. 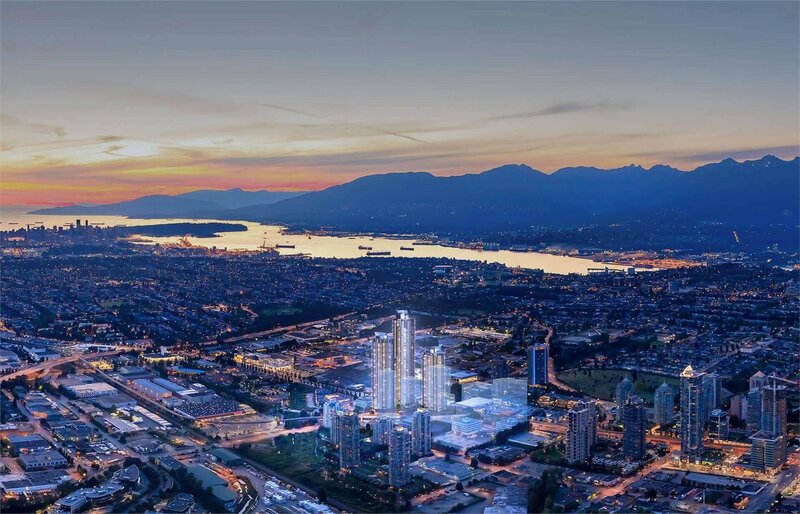 With Gilmore Place being located to the West of Brentwood town centre and its massive redevelopment, Gilmore Pace is facing away from the tall buildings of the Amazing Brentwood, Solo District etc, therefore the views to the North Shore mountains to the north and downtown Vancouver to the west will be unobstructed.